Turkey exported almost $120million worth of gold to Iran in February, data showed, suggesting the two countries’ trade of gold for natural gas has resumed despite tighter U.S. sanctions, though at levels below last year’s peaks. U.S. officials have sought to prevent Turkish gold exports from providing a financial lifeline to Tehran, which has been largely frozen out of the global banking system by Western sanctions over its nuclear program. Turkey sold no gold to Iran in January, according to data from the Turkish Statistics Institute (TUIK), as banks and dealers eyed the Feb. 6 implementation of U.S. sanctions that tightened control over precious metal sales. The United States has given Turkey a six-month waiver exempting it from sanctions on trade with Iran, which is due to expire in July, but banks and dealers still have been cautious. 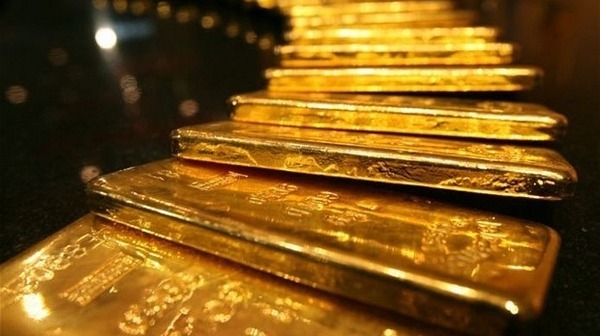 Turkey sold $117.9 million worth of gold to Iran last month, while exports to the United Arab Emirates, which has served in the past as a transit route to Tehran, rose to $402.3 million from $371 million in January, TUIK data showed. “Due to the sanctions, nobody wants to attract attention. That may be the reason why exports stopped to Iran in January,”said one Istanbul gold trader, asking not to be named. Turkey’s monthly gold sales to Iran peaked last July at $1.8billion, more than 10 times the amount exported to Tehran last month. Turkey, Iran’s biggest natural gas customer, has been paying Iran for energy imports with Turkish lira, because sanctions prevent it from paying in dollars or euros. Iranians then use those lira, held in Halkbank accounts, to buy gold in Turkey, and couriers carry bullion worth millions of dollars in hand luggage to Dubai, where it can be sold for foreign currency or shipped to Iran. Turkey is heavily dependent on imported energy and, while it has cut back on oil purchases from Iran, has made clear it cannot simply stop buying Iranian oil and gas. Iran is refining uranium to a fissile concentration that Western experts say is a relatively short technical step from the level that would be suitable for atomic bombs. Tehran says its enrichment program is solely for civilian energy purposes. 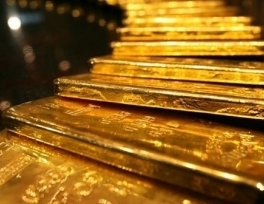 Turkey’s total gold exports rose 18 percent to $551.6million in February from $466 million in January. Turkey, which is not a major gold producer, was a net importer of gold, jewelry and precious metals in 2011 but swung to being a net exporter last year. Its gold exports to Iran rose to $6.5 billion in 2012, more than 10 times the level of 2011, while its exports to the United Arab Emirates - much of it for onward shipment to Iran or conversion to hard currency - rose to $4.6 billion from $280million.